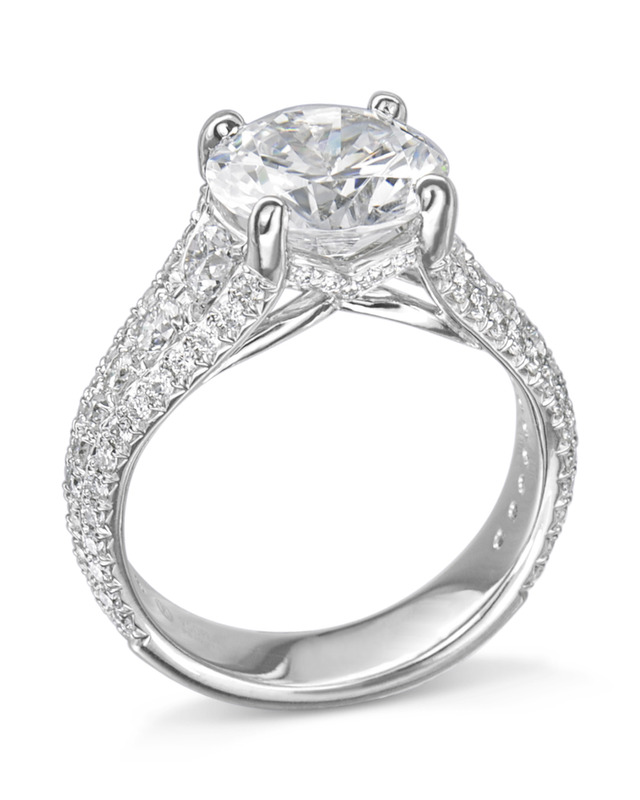 Our exquisite three row diamond engagement ring is a true piece of fine jewelry. 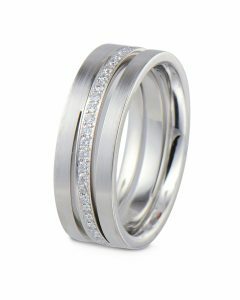 Made in platinum with 88 round brilliant cut diamonds which are set 2/3 around in a three row diamond tapered band. 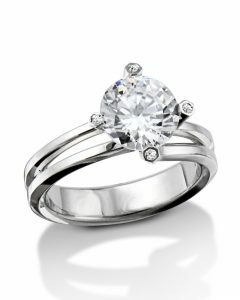 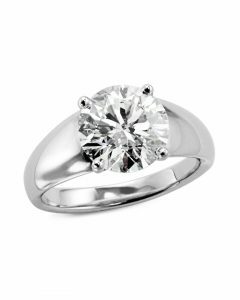 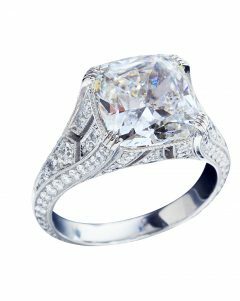 Designed to beautifully embrace a 3.00 carat round diamond center, this exquisite three row diamond engagement ring boasts 1.26 carats total weight making this a fabulous statement piece. 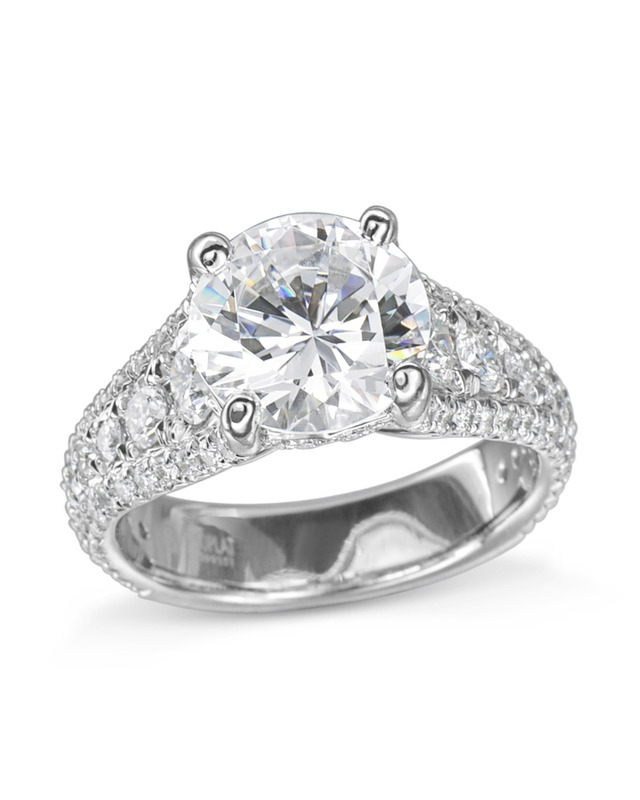 This ring can be made in 18k rose gold, white gold or yellow gold.